Home » Blog » What is Steampunk and where can I see its influence? You have seen Steampunk influences everywhere. You just may not have recognized it or known what name to call it. It is an important strand of Post-Minimalism. Remember Minimalism from late last century? Bleak! Steampunk may be explained pithily as iPads and space ships dressed up in the costume of the Industrial Age, the 19th century: polished brass and mahogany. Jules Verne’s submarine, the Nautilus, is the essence of Steampunk: high technology married to carved mahogany, brass levers and fittings, and red plush curtains with bullion fringe. The delightfully coined Retro-futurism (Retrospective yet simultaneously futuristic) is also a description that pops up. Steampunk folk will often dress in Victorian or Edwardian influenced costume updated with brass flying goggles or jewellery made with watch cogs. You might share the tram with a man wearing a vaguely military jacket with lots of buttons, without recognizing Steampunk. Steampunk, named in 1987, began as a literary movement, but now encompasses fashion, a vibrant craft tradition, interior design, music groups and film. 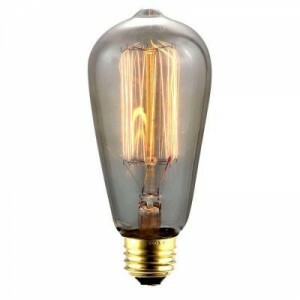 In the last few years large 19th century style filament light globes, now thankfully available in LED, have become a cliche of new boutiques, micro-breweries and pizza dives. This is Steampunk that has left the closet and overtaken the streets. While advanced technology is embraced, the soulless, mass-produced sameness of the hardware is rejected, and customized: made unique, decorative and personalized. Steampunk abhors the streamlining that is the hangover of 1990s Minimalism. As such it conforms to current fashion for enrichment: Maximalism. There are two principle retro-futurist movements at present. The most visible is the return to an ideal 1968, with Madmen, the hugely influential TV series leading the way. Steampunk is the next most visible influence. However, Steampunk specifically employs references to Victorian and Edwardian design. Downton Abbey has also stoked popular enthusiasm for a more ornamented and graceful way of life. Some films expressing Steampunk imagery include Jules Verne’s 20,000 Leagues under the Sea, Chitty Chitty Bang Bang, Flash Gordon, Derek Jarman’s Carravaggio, Wild Wild West, The League of Extraordinary Gentlemen, Steamboy, Howl’s Moving Castle , Van Helsink, Sherlock Homes (1 & 2 ), Hugo. An Edwardian gentleman with a brass encased PC, and a 1960s man-about-town nestling in a Featherston chair may initially seem at odds, but both are yearning for style, and finding it in a romanticized past. This is not about history and fact. This is about heritage: history as remembered through rose coloured glasses. There are no Steampunk charwomen, and the heritage 1960s is all about martinis and Manhattan skylines, not taxi driving or dishwashing.